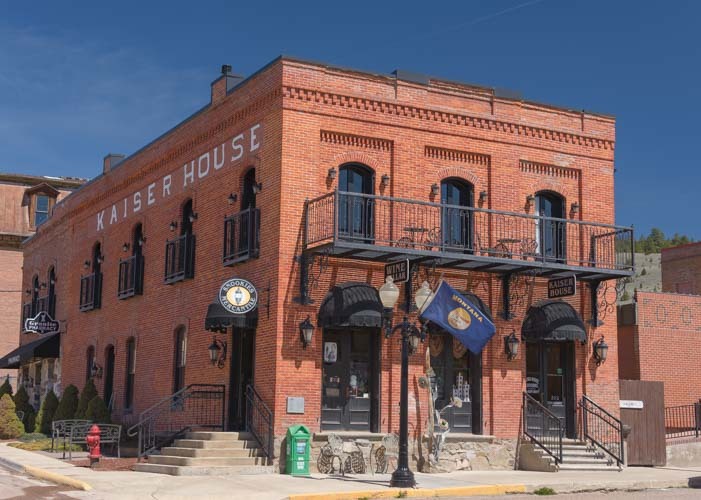 Philipsburg, Montana – One of America’s Prettiest Painted Places! 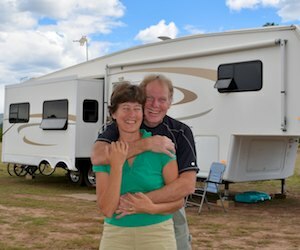 April 2016 – We have loved all of our RV travels in Montana, although we’ve barely scratched the surface of what there is to see there. Most of our adventures have been focused in the Bitterroot Valley area, largely because we have very special friends who live there. 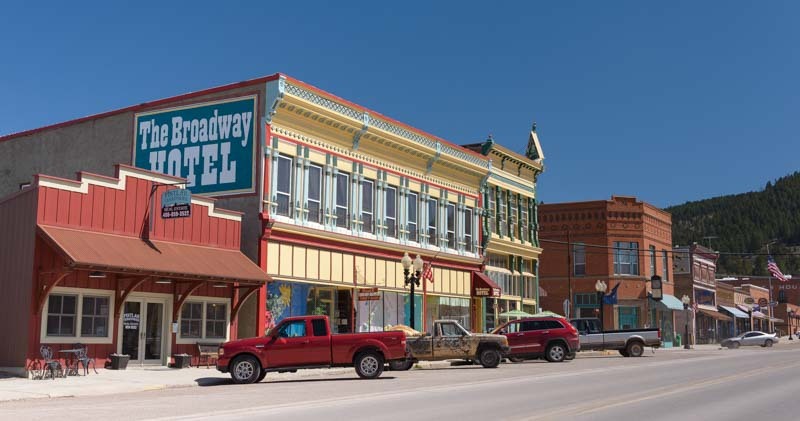 Philipsburg, Montana, is a delightful town that is a must see for Montana visitors. However, in our very first year on the road, 2007, we stumbled across the small town of Philipsburg by accident, and we were absolutely charmed. We were in a hurry, though, so we stayed only long enough to say, “Wow, what a cute place!” grab a cup of coffee at the Daily Grind, and then rush on. This year, our friends and hosts in the Bitterroot suggested we all take a daytrip over there to check it out. We were absolutely delighted at the prospect of seeing it again. The town’s residents have lovingly restored the buildings on the main drag. 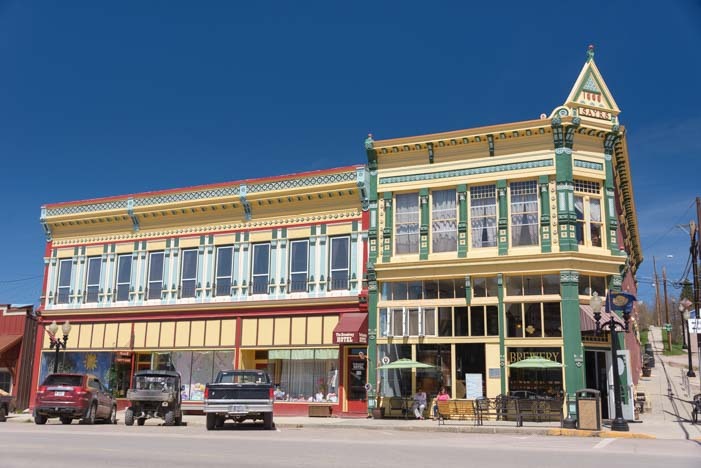 Philipsburg, Montana, is one of those special small towns that takes quiet pride in its historic architecture and has gone out of its way to put on its Sunday best. It is the county seat of Granite County and has a population of 840, which is about 150 people less than it had in 1890!! Wandering two blocks off the main drag, we found the Granite County Jail. Lots of western towns have old jails of various kinds, but this one is rather special because it is still operating as a jail. Inside, next to the jail cell, was a white board with the list of arrival dates and lengths of stay for various prisoners! 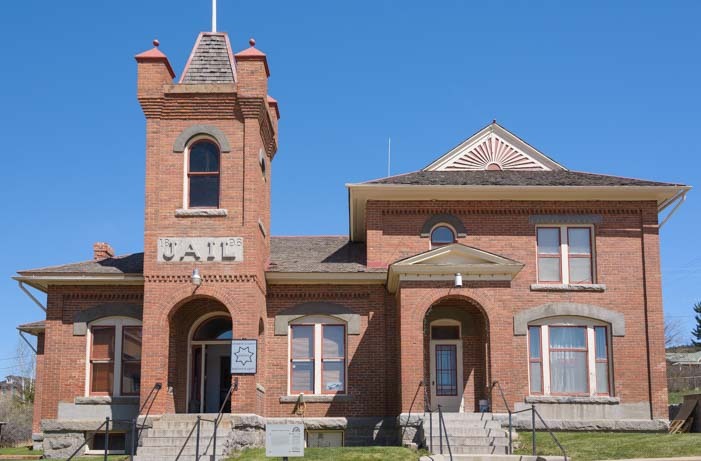 Granite County Jail – Housing the wicked since 1896! 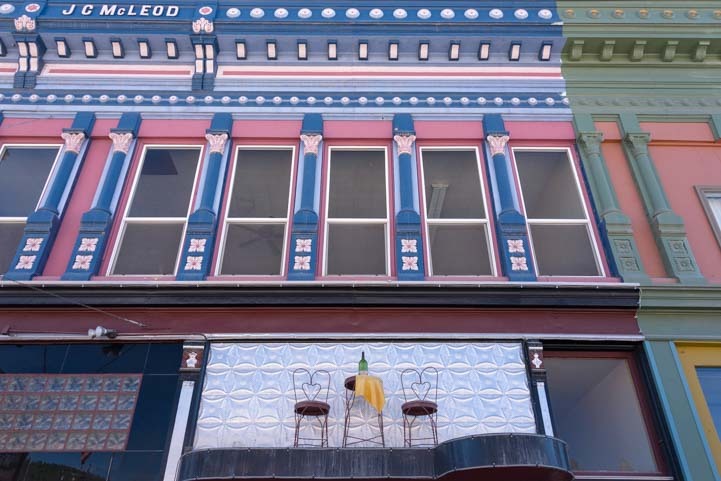 What we loved most, though, was the beautiful paint jobs on the antique Victorian era buildings. 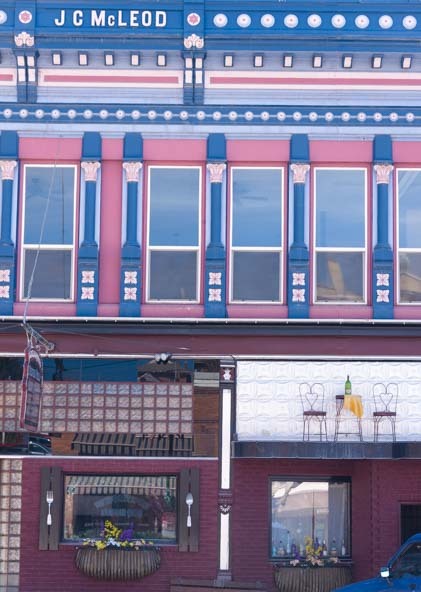 We didn’t know it at the time, but Philipsburg is on the National Register of Historic Places. Such a great paint job!! 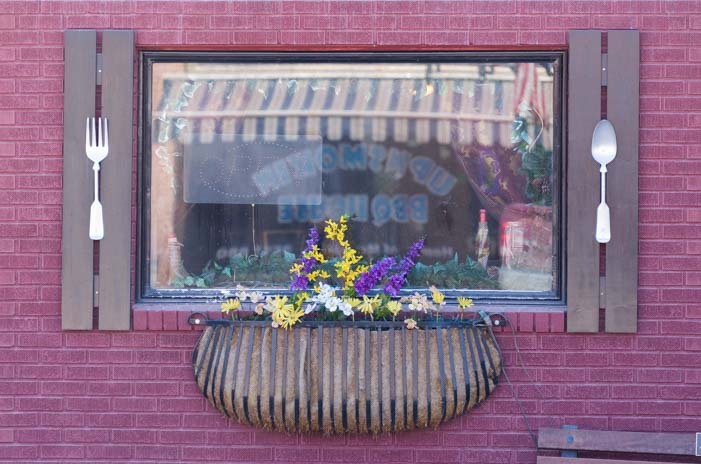 There is an artsy flair to this town, and the fork and spoon on the shutters of Montana Joe’s Silver Mill Saloon in the McCleod Building caught our eye. Not to mention the pretty pink and blue colors! They had even perched a table and chairs on the outside wall. What fun! We got such a kick out of strolling through this little town. Only later when I was checking up on “P-burg” on the internet did I discover that Philipsburg has been named a finalist in the list of America’s Prettiest Painted Places and also won an award from Sunset Magazine in June, 2015, for Best Municipal Makeover! 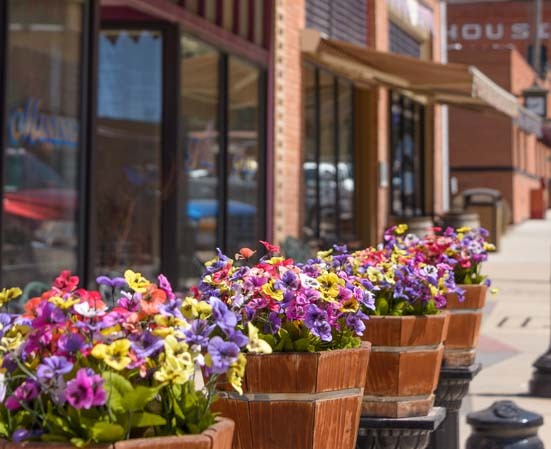 Philipsburg’s roots are in silver mining, and like all mining towns, it has seen its ups and downs over the decades since it was founded in 1867. It went through a very unhappy phase in the 1970’s and 80’s with boarded up buildings, empty houses, and an uncertain future. But today, it is as lively and cheerful and inviting as a town can be. 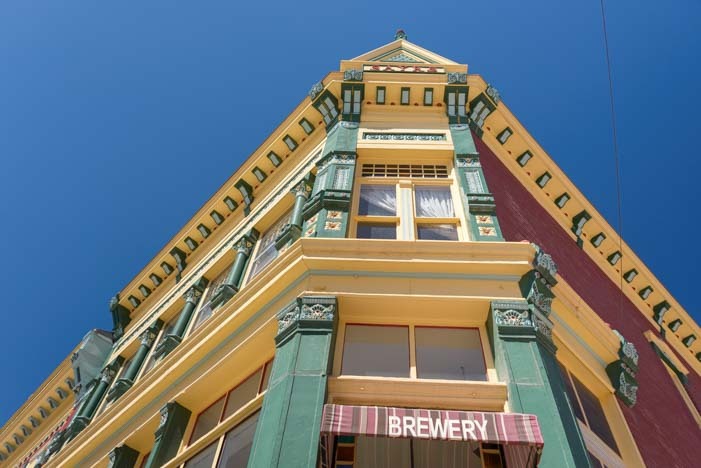 In the corner of the bright yellow Sayrs building (built in 1888), the Philipsburg Brewing Company set up shop in 2012. We had to stop in for a brew, of course, and, oh my, they have a delicious Coffee Porter. Come on in! The Coffee Porter is awesome!! 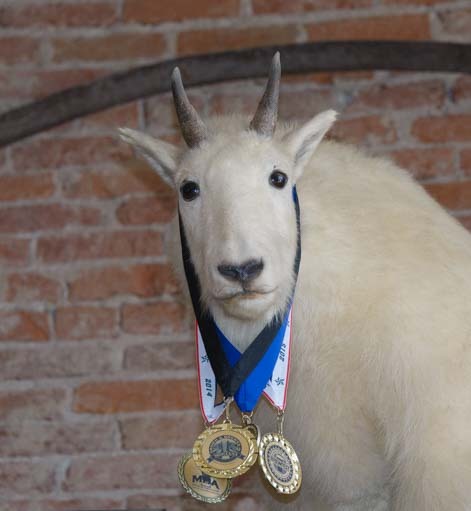 Philipsburg Brewing Company has won a lot of national awards, and some are modestly hung around the neck of a mountain goat on the wall. This is a place we will definitely be coming back to so we sample their other brews!!! 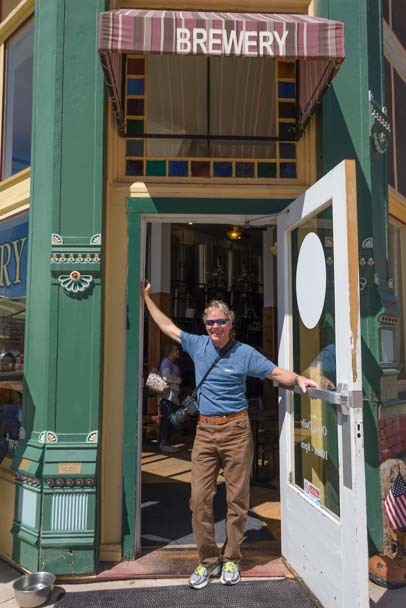 Philipsburg Brewing Company is modest about their success. Afterwards, we took a swing past lovely Georgetown Lake. The ice on the lake was just starting to thaw at the edges. What a beautiful spot! 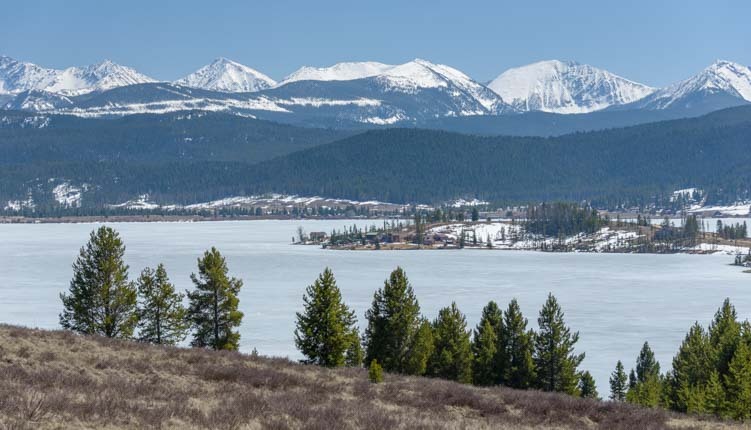 If your RV travels take you to Montana, be sure you make a stop in Philipsburg. But don’t buzz through too fast!! This is a town that is worth a leisurely visit. Maysville, Kentucky – Come for the history but stay for the people! This entry was posted in Montana and tagged Montana, New, Travel, USA, WP Travel by Roads Less Traveled. Bookmark the permalink. What a sweet town, very off the beaten path. Thank you for sharing this little gem! I hope you have a chance to go there, Lisa. You two will really enjoy it! btw: your tribute to your mom was very touching. Livingston Montana is the same sort of place- makes you wanna put your cowboy boots on, buy a stenson big rimmed hat and wander the streets. Our favorite campsite- little spot on the Yellowstone River- Rock Canyon RV- my happy place! Best little coffee shop tomorrow! We’ll have to check that out sometime. Thanks for the tip! We absolutely LOVED that town. Stayed there last year. We mined some sapphires and found quite a few. We are having them mounted in rings. How fun, Debbie. I’d love to have a ring with a stone I’d found!!! You’re welcome. Enjoy it when you get there!! !